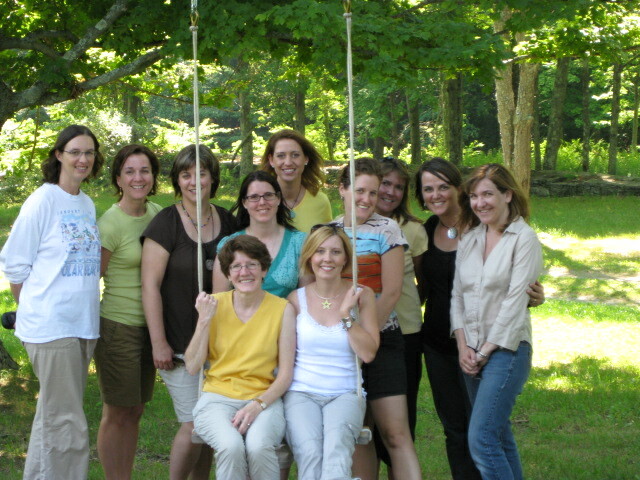 In 2008, several children’s writers joined together for a retreat in Boyds Mills, PA, the home of Highlights Magazine and the wonderful Highlights Foundation. We were all working on different stories in different genres, and so we planned a working retreat, not one where we would meet often to learn from a speaker, but one that would allow us the time we needed todive deep into our stories and come up for air when we needed it. As it turned out, we usually came up for air about 4:00 pm every day, meeting together to share not only what we had written, but also a few tears and a lot of laughter. The time we spent alone writing and the time we spent together encouraging one another was important for the stories we were working on at the time and to prepare us for the stories we would work on after our retreat at Boyds Mills. It was so important for us that we want to provide the same opportunity for another writer. The Highlights Foundation is offering Unworkshops during various dates throughout 2014. Consider it time to get away and write what your heart most wants to work on. We can’t work it out for any of us to go back right now, so we’re sending one of you! To qualify for consideration for this prize, send a statement by March 31, 2014 (to retreatscholarship@gmail.com) explaining why this retreat could be important to you as a writer/illustrator of children’s literature. Share a little about the project you would plan to work on during the retreat and your experience writing or illustrating for children. We’ll consider all entries and announce the recipient on April 15, 2014.